Robbers took away Rs 5.75 crore, belonging to the Reserve Bank of India , from a train in Tamil Nadu Monday night. 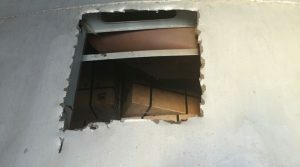 Sources said that the robbers gained entry in the coach of Salem-Chennai Egmore Express by cutting an opening on the roof of one of the coaches where boxes containing the currency were kept. Railway Police Superintendent of Police P Vijayakumar told The Indian Express that the RBI was transporting soiled and mutilated currency notes amounting to Rs 342 crore from Salem to Chennai in three special coaches of the train. The train left Salem station around 9 pm Monday and reached Chennai Egmore at 4 am Tuesday. The robbery was noticed only later in the day — after RBI officials opened the coaches. “Currency notes were kept in 226 boxes. Robbers entered the coach by making a 2×2-foot opening on top of the coach,” he said. The Railway Protection Force, which has jurisdiction over cargo coaches, has registered a case. The Government Railway Police sent multiple teams to stations where the train had stopped during the seven-hour journey. Inspector General of Police (Railways) M Ramasubramani said robbers made a hole on the roof the coach using gas cutters. “Of 226 boxes, four had been tampered with and currency notes were strewn around. 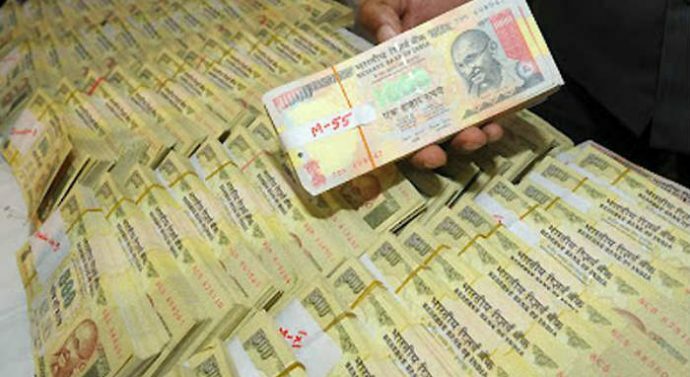 They emptied one full box of currency with larger denominations; another box was partially robbed and two other boxes were opened and left off (seemingly untouched),” Ramasubramani said. Initial probe indicates the the robbery took place at Virudhachalam, where the train had been running slow and halted for almost an hour.